Searching for the perfect family hauler? The 2018 Chrysler Pacifica may be the minivan for you! With room for the whole family, advanced safety and technology features, and sleek and athletic styling, there's a lot to love about the latest Pacifica. What's new for the 2018 model year Chrysler Pacifica? 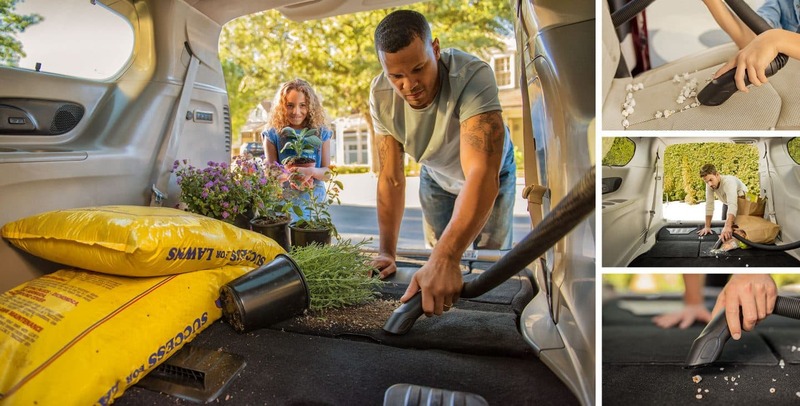 The 2018 model year Chrysler Pacifica offers many new perks. 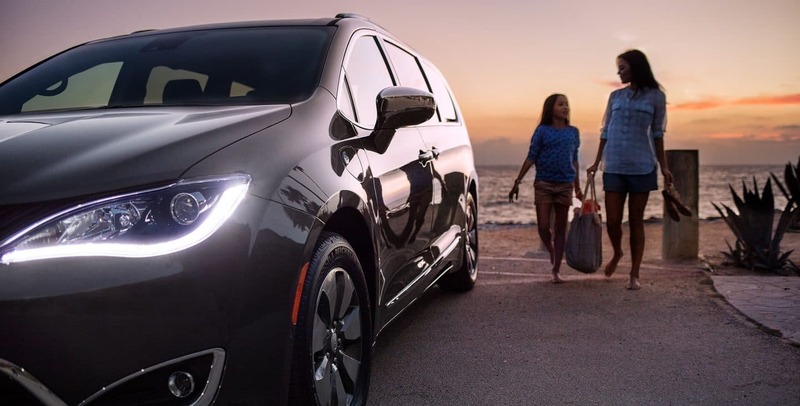 The lineup receives a new trim level: the Chrysler Pacifica L! 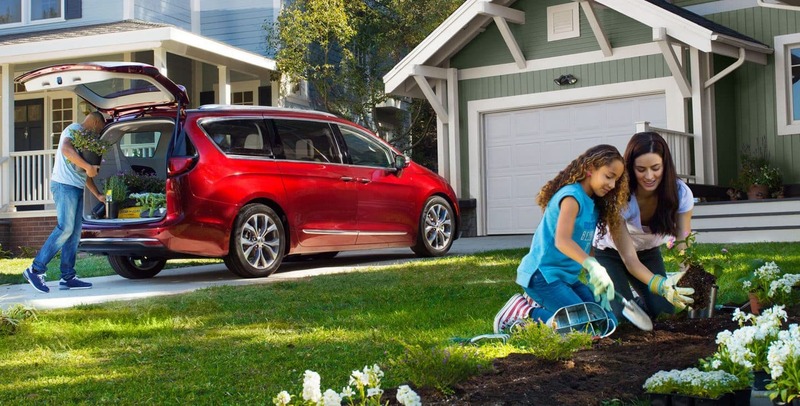 The L model lowers the cost of the minivan dramatically, making it more affordable for more families. All Pacificas have added a new focus on safety, by making the SafetyTec Group standard across the lineup. The SafetyTec Group includes advanced safety features such as Rear Cross Path detection, ParkSense Rear Park Assist with Stop, and Blind-spot Monitoring. Also standard across the lineup is a new 7-inch Uconnect touchscreen with Apple CarPlay, Android Auto, and a rear parking camera; some models may contain the larger 8.4-inch touchscreen instead, which now features HD radio. 8.4-inch Uconnect systems with navigation also offer 4G Wi-Fi. Available Uconnect Theater allows Android users to stream wirelessly through mobile devices. More features have been shuffled throughout trim levels, making accessing all the features you love simpler. There are also two new exterior paint colors: Copper Pearl Coat and Ocean Blue Metallic. What makes the Uconnect system special? 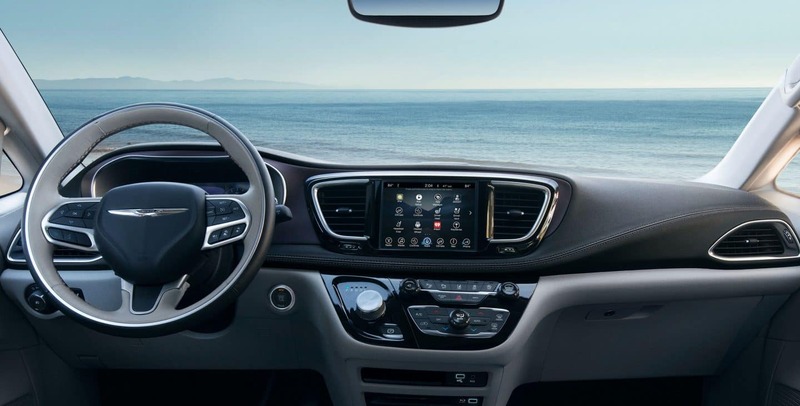 Every 2018 Chrysler Pacifica comes equipped with a Uconnect infotainment system. The Uconnect system is considered to be one of the best in the class, even when compared to luxury brands. The Uconnect system begins with a touchscreen, offered in 7- or 8.4-inch sizes. 8.4-inch models can be found with or without navigation, depending on trim level. The Uconnect touchscreen offers incredibly crisp and colorful graphics, a wide range of touch recognition gestures such as pinching, tapping, and swiping, and lightening-speed processing. Every Uconnect is compatible with Apple CarPlay and Android Auto. Apple CarPlay allows iPhone and iPod users to integrate completely with the Uconnect system, offering access to Apple Maps, Apple Music, Messages, Phone, Siri, and more via the touchscreen or Siri Voice controls. Android Auto provides Android users access to Google Play Music, Google Maps, and Google Search via the touchscreen or integrated steering wheel controls. The Uconnect system also provides some users with Uconnect Access, a safety and security program with automatic crash alert, remote unlocking, and more. The Uconnect system may also integrate with Uconnect Theater, offering exceptional entertainment for rear passengers through two delightful 10-inch touchscreen tablets. These tablets can be mounted to the backs of seats for ideal video viewing or removed to access WiFi or games and apps. What convenience features are available for the 2018 Chrysler Pacifica? The 2018 Chrysler Pacifica offers convenience in many standard or optional features. The Pacifica offers a RIDGID Stow 'n Vac integrated vacuum for quick and easy cleanup any time. There's the coveted Stow 'n Go seating Chrysler is known for, allowing seats to fold flat into the floor with ease or offering in-floor storage compartments to store spare clothes, toys, or other cargo discretely. Some models may also be equipped with Stow 'n Go Assist and Easy Tilt for effortless storage of the rear rows. 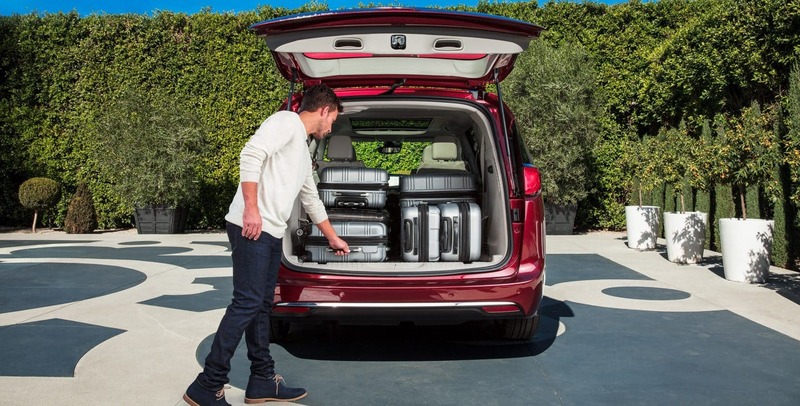 The Chrysler Pacifica is also the only vehicle in its class equipped with handsfree sliding doors and a liftgate that can be operated with the touch of a foot. Ready to fill your driveway with the 2018 Chrysler Pacifica? If so, contact us now! We have many models just waiting to go home with the right buyer.